Iowa currently has five waiver programs that serve children. All are 1915(c) HCBS waivers. We are not sure if they waive parental income or not. 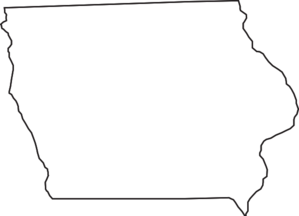 General information about waivers in Iowa can be found on the Iowa Home and Community Based Services page. A chart comparing waivers is also available. Waiting list information for Iowa waivers can be found here. Iowa places all recipients, including children with disabilities, into managed care organizations (MCOs). Iowa also has two adult-only waivers, HCBS Waiver for Persons with Physical Disabilities and HCBS Elderly. Target Population: Children and adults with physical or other medical disabilities. Description from medicaid.gov: Provides adult day, homemaker, respite, home health aide, nursing, financial management services, independent support broker, self-directed community support and employment, consumer directed attendant care-skilled, consumer-directed attendant care-unskilled, counseling service, home and vehicle modification, home delivered meals, individual directed goods and services, interim medical monitoring and treatment, nutritional counseling, personal emergency response, self-directed personal care for individuals with physical disabilities, ages 0-64. How to Apply: Apply for Medicaid through DHS. Children will then be assessed by Child Health Specialty Clinics. Target Population: Children with serious emotional disturbance. Description from medicaid.gov: Provides family and community support service, respite, environmental modifications and adaptive devices, in-home family therapy for children with SED, ages 0 – 17. How to Apply: Apply for Medicaid through DHS. Description from medicaid.gov: Provides adult day care, consumer directed attendant care skilled, day hab, home health aide, prevocational, residential based supported community living, respite, supported employment, nursing, FMS, consumer directed attendant care unskilled, home and vehicle mods, independent support broker, individual directed goods and services, interim medical monitoring and treatment, PERS, self directed community support and employment, self directed personal care, supported community living, transportation for individual with ID, ages 0 - no max age. Target Population: Children and adults with AIDS or HIV. Description from medicaid.gov: Provides adult day health, homemaker, respite, home health aide, nursing services, FMS, independent support broker, consumer directed attendant care-skilled, consumer directed attendant care-unskilled, counseling, home delivered meals, individual directed goods and services, self-directed community support and employment, and self-directed personal care for individuals with HIV/AIDS, ages 0 - no max age. Target Population: Children and adults with brain injury. Description from medicaid.gov: Provides adult day care, case management, consumer directed attendant care-skilled, prevocational services, respite, supported employment, FMS-consumer choices option, behavioral programming, consumer directed attendant care-unskilled, family counseling and training, home and vehicle mods, independent support broker-consumer choices option, individual directed goods and services-consumer choices option, interim medical monitoring treatment, PERS, self-directed community support and employment, self directed personal care-consumer choices option, specialized medical equipment, supported community living, transportation for individuals with BI, ages 0 - no max age.